Brugghús Steðja is a family company in Iceland that started in 2012. Our brew master made first two beers the same year, Our lager and the Icelandic northern lights beer. Since then we have be releasing a lot of new styles. We want our beer to have its own character so no two types beers should be similar. Our seasonal beers we want to grab the spirit of each season in the bottle so people can gather around and celebrate and say SKÁL! Steðji beer is not just a beer, its an alchemy of pure genius. Our brewer is a German professional, Philipp Ewers, who is a magician for a brewer. We are in the possession of our own fountain of pure spring water. The water has been tested and proven to be among the purest and cleanest sources of water found in the world. We use our natural spring water as it comes from nature without adding any chemicals in our brewing procedure and therefore guarantee that all of our beers have that refreshing pure taste. On the west coast of Iceland surrounded by low rising mountains, flowing rivers and hot springs lies the farm Steðji, which translates as Anvil, named after the rock formation next to Steðji Brewery and family house. A place of folklore and magic that today is the home of one of the most innovative, exciting and exuberant family brewery in the world. 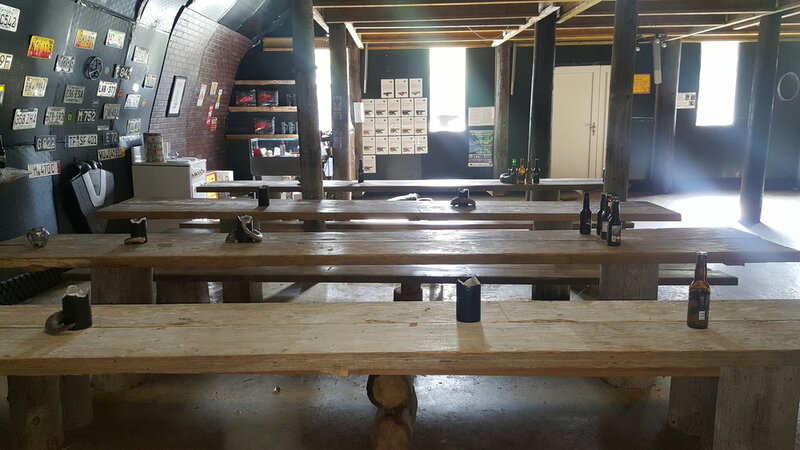 Our Tasting room is open from Mondays to Saturdays from 13:00-17:00 Local time. For larger groups please contact us. We just opened our accommidation here at Steðji´s farm. Our new beer barrels are fully insulated and equipped.